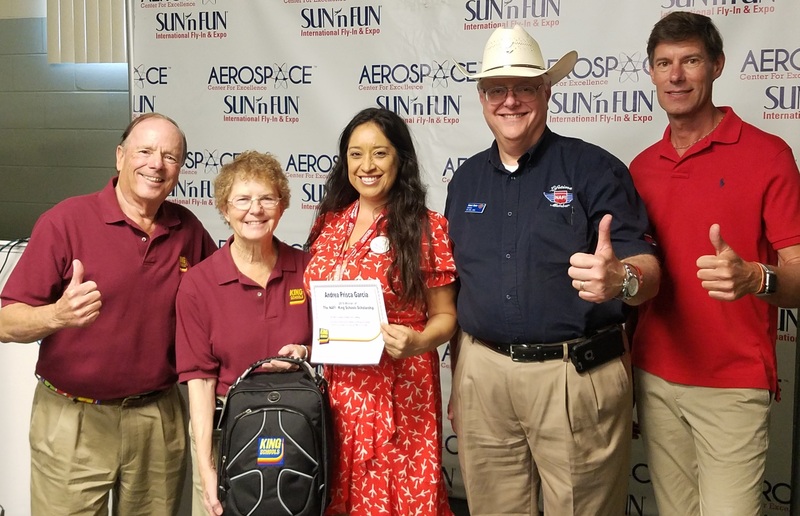 Andrea Garcia of Buena Park, California is the winner of the King Schools and National Association of Flight Instructors 2019 CFI scholarship. The scholarship consists of $5,000 toward a new CFI rating or certificate, and free lifetime access to all King Schools courses, including lifetime Flight Instructor Refresher Courses (FIRCs). The estimated value is over $18,000. Andrea was an award winning music teacher in Long Beach, CA during her “first career.” Since 2014, when she committed herself to aviation, Andrea has progressed from being a student pilot to a commercial pilot, logging over 900 hours and passing her ATP written while also obtaining her Advanced Ground Instructor and Instrument Ground Instructor certificates. All this progress has been made outside of a traditional aviation school or fast track program. Andrea has been doing much more than flying and parenting. Since 2014 she has organized, judged or helped others with over 65 aviation events. She has been the President of Women in Corporate Aviation and serves on the Board of the Orange County, CA chapters of Women in Aviation International (WAI) and the 99s. In addition, she is an active member of the International Aerobatic Club, Whirly Girls and the EAA Explorers 445. The scholarship was presented at the King Schools press conference at SUN ‘n FUN 2019 in Lakeland, Florida. Applications for the 2020 NAFI/King Schools scholarship will become available in August 2019, with application submission deadline, January 2nd 2020.